Mrs. Richardson’s 4B class presented a very powerful Living Stations on Friday. 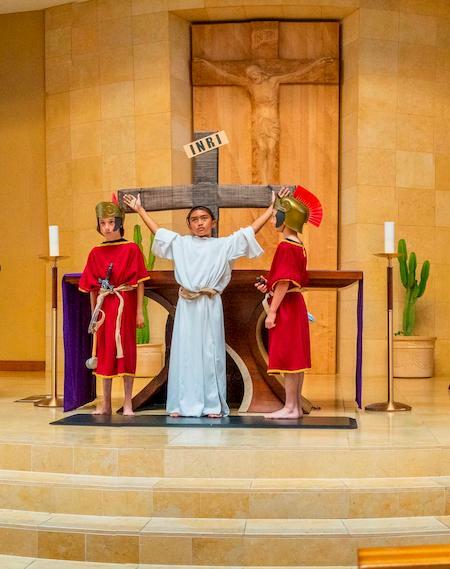 Each Station was carefully orchestrated with narration, song and enactment of Jesus’ journey. It was a wonderful way to begin Holy Week.